Whether you use your computer for home or business, if you have important files on it the most important thing is to have a BACKUP strategy! What determines your backup strategy depends on how you would feel if you lost all your data on your computer. There is nothing more aggravating than losing data! There are different types of backups for different users. Decide which type of backup is right for you. Remember, backup your data before a serious issue (such as a hard drive crash) develops. The cost of recovering data can be as much as $3,000.00! Your computer can be set up to back up certain data on an automated/ automatic basis. There are services for visiting your home or business on a regular basis to check your computer and back up your specific data files for you. Your computer data is priceless. Think of the cost to replace the data that is stored on it. Protect your data and your computer by developing and following a backup strategy. Prevent your computer from losing valuable data and protect it from any unforeseen dangers lurking on the internet! Backing up data can be do-it-yourself for smaller files, but for assurance and peace of mind, ask a professional for help in setting up your backup system. Whatever your situation, make backing up your files a priority and habit. 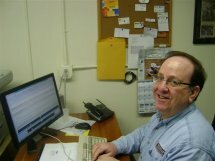 COMPUTER CARE ASSOCIATES is located in Framingham, serving the Metrowest area. Our focus is on small businesses and residential users. The philosophy of Computer Care Associates is to teach as well as consult users how to backup files, and safeguard their computer against spyware and viruses, etc.